Estate Sale season is upon us! There are so many sales this weekend — I just hope I remembered to add them all in the list! All the sales look great, which sounds like the perfect Mother’s Day weekend excursion to me! 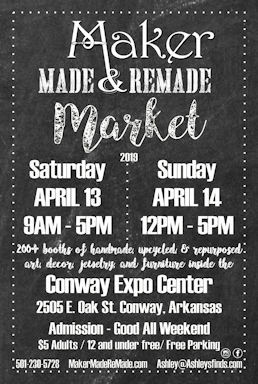 The South Main Vintage Market is starting back up next weekend, May 14, and as of a couple days ago they were looking for more vendors. Before Little Caleb came along, I enjoyed setting up there and did well selling. 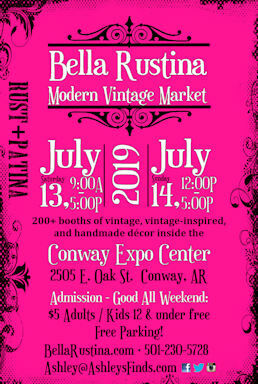 The 10×10 booth fee is $30 for Saturday from 9AM – 3PM. This Saturday, May 7th, is the deadline to sign up as a vendor. Also, if you find yourself in Pine Bluff this weekend, Carrie Scott’s Antique Mall is having a 25% off all store merchandise sale going through Saturday. They have awesome stuff! Below are the sales I know of for this weekend. Happy Mother’s Day to those of you who are moms! Antique barrister bookcase, sofas, side chairs, recliners, contemporary coffee table and end tables, book cases, dining room table & chairs, china cabinets, round pedestal table, press back chairs, king size bed, antique wooden beds, chest on chest, treadle sewing machine, lamps, decorative items, wooden game table, lawn chairs, linens, quilts, radios, albums, picture frames, kitchen items, corning ware and Paula Dean cookware, microwave, small kitchen appliances, washer, dryer, camping equipment, lawn & garden tools! Just off Quapaw St. a well maintained and updated older home which will make you smile as you enter. Many items offered including Flexsteel chairs, upholstered recliner, brown sofa, brown leather chair/ottoman, large round oak coffee table, oak dining table/4 chairs, 1940’s Sheraton fancy armchair, side chairs, drop leaf table, king size sleigh bed, two chiffarobes, vintage Singer sewing machine in cabinet, desk, file cabinets, clocks, men’s watches, Waterman, Pierre Cardin, Cross pens, mirrors, brass/marble/deco lamps, Florentine from Italy, Lotus Flower Abacus, Motawi Tile, Burger King collectible Disney tumblers, plate collection, Beanie Babies, The Bird Girl figurine from Savannah, GA, white wicker dresser, cheval mirror, headboard, large shadow box, electronics (stereo’s, speakers, CD players, computer), vintage telephone, television, CD’s galore, linens, stuffed animals, games, children’s toys, vintage toys, PEZ, die cast, guitar, trombone, child’s piano, tambourine, Rockband, DEAGAN chimes, many, many books, art, LIFE magazines, National Geographic collection, office, rugs, Whirlpool refrigerator, washer/dryer, men’s, ladies, teen clothing/shoes/hats, one military hat, VAST collection of tee shirts! Kitchen has small appliances, Blue Ridge dishes, Edwin Knowles Springtime Classic dishes, Norman Rockwell mugs “Closed for Business, Trout Dinner, Catching the Big One, Fisherman’s Paradise”, corning, cookware, stainless flatware. Outside shop has yard tools, apartment size refrig., exercise equipment, flower pots, metal, wooden patio table/chairs, ResQladder, ARKLA grill. No household items. This is a vintage and collectibles sale. Coins, guns, swords, military, stamp collections, metal signs, vintage boxing tickets, vintage Arkansas auto tags, vintage French postcards, large collection vintage Coca Cola 6oz bottles with city and state on bottom from Arkansas and all over USA; over 2300 bottles. 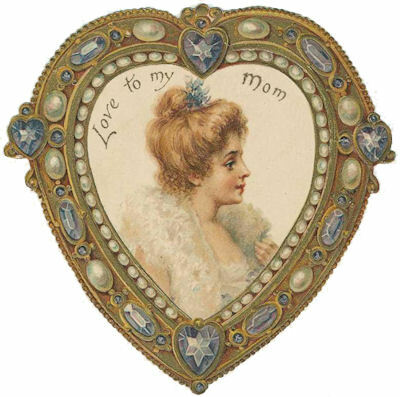 Some antiques, large doll collection, new Disney toys, huge Christmas collection, costume dinner rings, Catholic jewelry & charms and much more. Perfect sale for all. Combination of 2 homes united into 1. A couple have moved into one residence and combined their belongings. This home has an eclectic array of antique & modern decor. Antique French style sofa, high back 1940s side chairs, oriental figurines, mahogany secretary, glass top coffee table, 3 tier pie table, 1900 coal box, grandmother clock, C. Summey original oil painting, contemporary artwork, ……. Dining Room: French buffet, Duncan Phyfe style table & 6 tapestry seat chairs, lg Ridgeway grandfather clock, unusual Fr.side chairs, fainting couch, lg pier mirror, antique burl walnut cabinet/bar, lady’s dropfront desk, (3) antique paneled screens, crystal stoppers, mantle clock, 1890s English portraits, signed oriental print, antique marble top buffet, porcelain, oriental vases,….. DEN & KITCHEN: Overstuffed recliner, dark oak secretary, wood dining table & chairs, baby grand piano, (3) Charles Summey oil paintings, shelves crystal, oriental vases & figurines, decor pottery, roll-top desk, art glass vases, coins, albums, several sets china, complete kitchenware…. MASTER BEDROOM, CLOSET & BATH: Victorian bed, (2) modern fainting couch (needs TLC), round glass top/round column base table, 1940’s German side chairs, Eastlake antique chair, (2) rose carved antique chairs, oak/granite coffee table & 2 end tables, oak Empire chest w/tilt mirror, misc lamps, shelves decor vases, candlesticks, 100% virgin wool 10’x8′ rug, linens, oriental figurines, cast bronze bust, bed bench, framed prints, antique sm tables, closet: men’s clothing, shoes, hats….. MIDDLE BEDROOM: Full size posted bed, mattress set, rocker, sm end tables, bamboo lamps, drapes, framed artwork, computer, linens, ladies shoes, area rug, …. FRONT UPSTAIRS ROOM: This room is like a clothing bouquet for ladies: designer clothes (various sizes), shoes, purses, scarves, leopard arm chair & rug, carved masks, scalloped vintage lamp table, Stephano Studio artwork, animal prints…. GARAGE: 800 + Banks – trucks, airplanes, cargo trucks, Texaco, Shell,……. Please view photos, sm apartment refrig, tools, sm decor pcs, Jazzi elect chair, leather loveseat, ramp, ……the garage is busting by the seams….. Very nice sale in Stonewood across from Botanical Gardens of the Ozarks. The owners have downsized homes in St. Louis to retire to NWA and are retiring 4 guest bedrooms, plus other furniture and home decor. 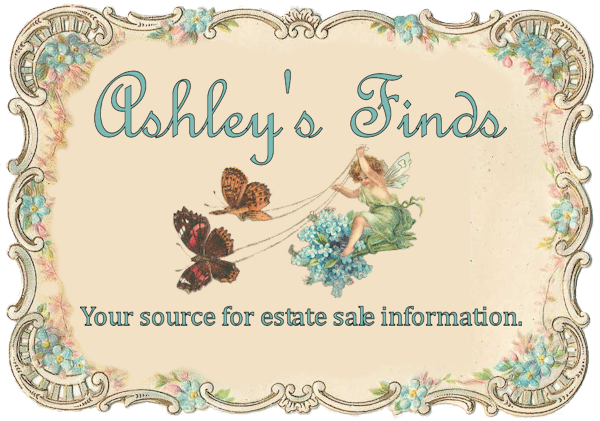 Beautiful top-of-the line furnishings – French country, antique and newer-several items from local home furnishings boutiques. Three like new queen mattress sets- Tempurpedic, Stearnes & Foster, Springaire, and a Simmons king. Four-poster rice bed, iron bed, Massoud linen headboard, designer comforters, linens and drapes. Round oak clawfoot dining table, antique deacons bench, walnut wardrobe with mirror, antique dresser, Neptune washer & dryer, French Country sofa and oversized ottoman, 4-ft gold frame bevel mirror, Shaw rugs, vintage Turkish rug, vintage Flokati rug, Bombay wicker chest, set of Studio Nova Martinique dishes, new Fiesta, like new designer purses-Michael Kors, Tignello, Brighton, Kathy Van Zeeland, baskets, holiday, beautiful wreaths for all seasons, books including set of John Grisham first edition, original art, lamps, small tables, new metal signs for man cave, old pipe collection, stained glass window, handpainted fireplace screen, electronic dart board, Seiko chiming wall clock, Yakima bike rack, men’s hockey skates, Little Giant Ladder System, Oreck XL vacuum, shop vac, stainless steel cookware, Jeanie Rub professional massager, luggage, kids toys, outdoor furniture and lots more. Pool table, small china cabinet, small marble-top chest, lots of framed art – some original, hall tree with mirror & umbrella rack, cuckoo clock, sterling cream & sugar, flip-top bar chest, sofas & armchairs, leather recliner, occasional chairs & coffee tables, area rugs, kitchen hutch, antique side table, lots of kitchenware – multiple sets of everyday dishes including white Ironstone by Royal Staffordshire, small appliances, good cookware, serving pieces, kitchen table & chairs, kitchen island cart; mantle clock, office furniture – desk, bookcase & printer cabinet; books, LPs, 45s, cassette tapes, board games, comic books, Kodak movie camera, women’s clothing, shoes, accessories, costume jewelry; kid’s clothing & shoes, holiday decor, wicker vanity w/ mirror and night stand, antique full-sized bed, jars & bottles, large TV, dryer, LG top-loading washing machine, women’s bike – cruiser, men’s road bike, a few painting supplies, old golf clubs, tools – hand & yard, blowers, Toro mower, and more!! This house is pristine! And, so is everything in it. Furnishings include a formal DR set, side board, curio, incredible double sided desk, sofa, leather ottoman, armoire, side tables, chairs, grandfather clock, four poster king bed, antique queen bed, modern wooden sleigh bed, desks, rugs, lamps, art and beautiful decorations. Flat screen TVs, stereo, stainless steel, French-door fridge, small clothes dryer. Name brand clothing, purses, shoes, etc. HUNDREDS of pcs of jewelry- modern & vintage, sterling & gold. Great outdoor grill, pots and iron decor, hand tools, gardening supplies, and everyday items. Encore sale – 50-60% off! French Prov. wing chair, gliders, Broyhill Sofa, dinning table with six chairs and China Cabinet, sewing cabinet, computer desk, ladies desk (1950), hide a bed sofa, book cases, decorator plates, Vision Cookware, china, cook books and 1st ed. books, records, CDs, VHS movies, cassettes, games, tools, luggage and much more! Little Rock Estate Sales Co.
We are opening up at 75% off entire contents of house and 2 sheds. We are opening up at 75% off entire contents of house and 2 sheds. 60 year old estate. House still has lots and lots of items. No parking on Cherry St.
Lots of furniture, tools, household, collectibles, decoratives and much much more. Antiques, collectibles, art, primitives, tools, jewelry, natural skin products, outdoor furniture, indoor furniture, local beef and loads of great merchandise. This isn’t your average flea market our sellers are on site to help customers. **Indicates minimum bid items. All other items will be sold to the highest bidder. Doors will open 9AM day of auction for your inspection time. A 10% Buyer’s Premium will be charged on all purchases. Announcements made day of Auction take precedence over all advertising. This sale is loaded with good decorator accessories, vintage board games, Star Wars action figures, large area rugs, framed decorator prints, and more!